Cubes don't look very complex, but who knew they could have names and personalities? You'll explore just that in the Nintendo Switch title Zarvot, a colorful affair perfect for playing with friends. Shacknews sat down with Zarvot creator Sam Eng to talk all about the "game that's about cubes." "It's an arcade shooter and it's balanced to be super competitive," explained Eng. Snowhydra Games' action-arcade adventure is an intriguing title, to be sure, with third-person isometric play that even includes a story campaign, believe it or not. "There are these two cubes: Charcoal and Mustard, and they're trying to make the ultimate birthday present for their best friend." That's their best friend Red, who ironically feels quite blue. You'll ride the subway to explore nine different and unique worlds where sentient milk cartons, spiders, crazy bananas, and a swath of other enemies are waiting for you. It's a crazy time, and it's coming to Switch from Snowhydra Games on October 18. 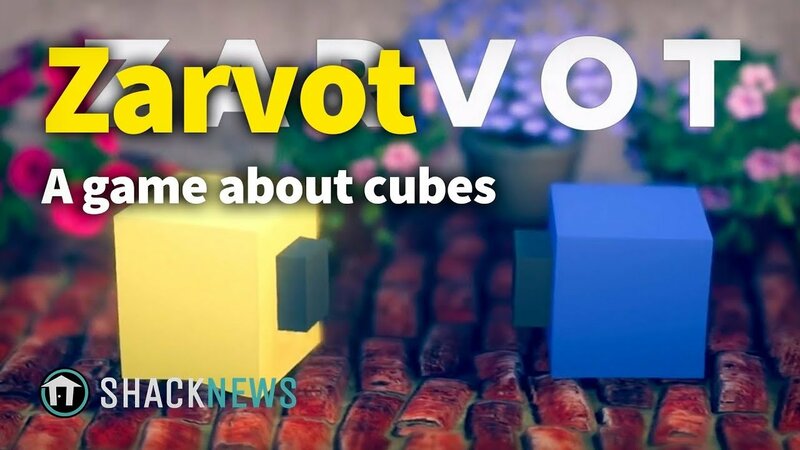 Brittany Vincent posted a new article, Zarvot interview: Creator Sam Eng on the quirky "game about cubes"